There are thousands of skilled female Church musicians in Australia. Two of the most skilled and dedicated practising Church musicians I know are my friend Antonia Deasey, an Anglican music teacher at Trinity Grammar School, Sydney, who also has private pupils and sings in a Cathedral choir, and my Anglican sister Anne Speer, who teaches violin at three Church schools in Western Australia, takes private pupils, directed her local parish choir until recently, and plays with a regional orchestra. These two gifted, talented women are well employed by the Church, but are owed much greater recognition as professional Australian Church musicians and teachers. The private recognition they receive is not comparable with the public adulation regularly heaped upon their male Church music colleagues. 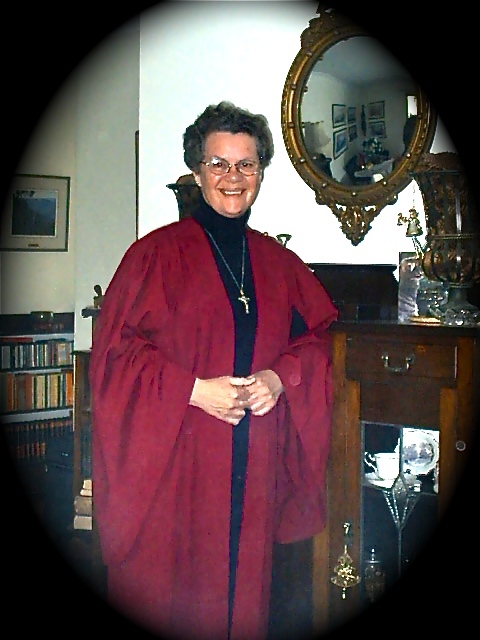 Among many others, Rosalie Bonighton (now deceased) is another under-recognised Australian Church musician who springs to mind, together with my Presbyterian aunt Jean Fullard nee Simpson, who served as the organist of St Andrew’s Peace Church, Wonthaggi, Victoria, for many years, and Robin Ruys, current Music Minister of the Anglican Parish of Hunters Hill, Sydney NSW. I loved Church Cantor music ministry and was praised for my success at it. In addition to musical, liturgical and compositional skills it required tactful multi-skilled liturgical coordination with a large group of male clerical and lay supervisors and female assistants. When liturgical worship is smoothly coordinated and the whole community is in tune with the Holy Spirit, Cantor ministry has its own very special rewards and fruits, not the least of which are enduring community friendships.